Glen chooses his fabric from some of the finest manufacturers in the world. For his suits, sport jackets and pants, he chooses fabric manufactured by names such as Vitale Barberis Canonico and Ermengildo Zegna from Italy. From England, he selects fine wool from Taylor & Stewart, British Woollens, Inc., and the famous Canterbury Collection. 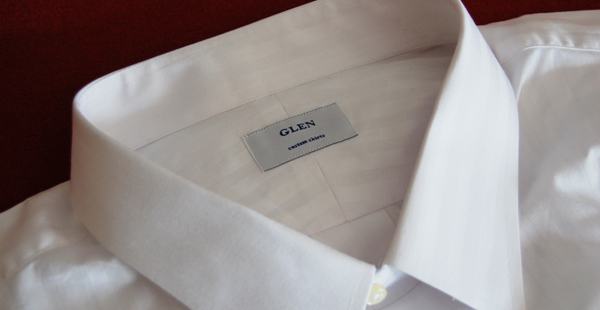 His Custom shirts are made from Premium Italian Albini 100% Cotton and Collezione Pronta 100% Cotton. Glen’s designs will make you look elegant, sharp and well tailored, giving you that look that make heads turn and take notice. Beloved by Tailors everywhere. The first choice of tailors throughout the world. The best there could possibly be in the world in terms of noble fibers.